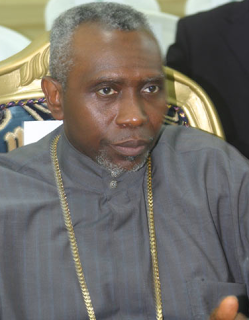 Controversial politician and former minister for the Federal Capital Terrotory, Mallam Nasir El Rufai, has been given a 7-day ultimatum by the Christian Association of Nigeria to reveal to Nigerians who gave the President of CAN, Pastor Ayo Oritsejafor, his private jet or risk having his dirty character exposed to the public. The Christian Association also asked El-Rufai to go for a Psychiatric test. "The CAN president is not a religious leader. He is a religious pretender. From the statements he has made, he is a bigot. He is an ethnic irredentist and no one should take him serious. It is sad that such a person is the head of CAN. He can say whatever he wants to say but we know who he is working for, we know who gave him his private jet. so why should we worry about someone like that. He has zero credibility". In a statement signed by Rev Emmanuel Dziggau and Elder Sunday Oibe, CAN said "The fact that he can abuse Jesus Christ in his tweets and Christians ignored him does not give him the impetus to make unguarded comments about Pastor Ayo Oritsejafor, who is the leader of the Christians in Nigeria"
They also noted that Christians respect other faiths and have never abused the Sultan of Sokoto or the President-General of the Nigerian Supreme Council for Islamic Affairs, Alhaji Muhammad Saad Abubakar 111 who is the leader of the Muslims in Nigeria.